A lot of people play videogames for all sorts of reasons these days. It’s hard to define a “gamer” now. We were all called nerds once. Read back some of the early issues of this fine online magazine, and even then, just a few short years ago, we had a thing going on. It was ours – a little corner of the web that we knew would appeal only to a certain demographic. We could shout stuff from the rooftops that only certain people would get. I liked that. But inevitably games have gone big. It’s not a dirty little secret any more – in fact in the last five years, it’s as ubiquitous as Facebook itself. The term “videogame” can now mean anything from arcade machines, consoles, and (the horror!) “mobile gaming”. Diluted like piss-weak Ribena, mobile gaming is a moneymaking machine spewing out acres of me-too shovelware, and the beautiful shining gems that we remember from years gone by, are harder and harder to find. Even my mum plays Candy Crush in the bath, and yet five years ago she was asking me to help her set up her new toaster. Even over at good old Twin Galaxies these days you can submit a new score on level 1.2 of Kirby’s Fanny Pack 7: The Mother’s Dawn on NTSC (easy difficulty) on the Android platform if you really want to, and claim yourself to be the World Champion. I’m pretty depressed about it all to be honest, thanks for asking. So what’s happened to the original players? The guys who populated the arcades of the eighties? The good news is they’re still out there doing their thing, albeit drowned within the noise of GTAV, Angry Birds, Flappy Bird, FIFA 2015 and especially Kirby’s Fanny Pack. Probably. 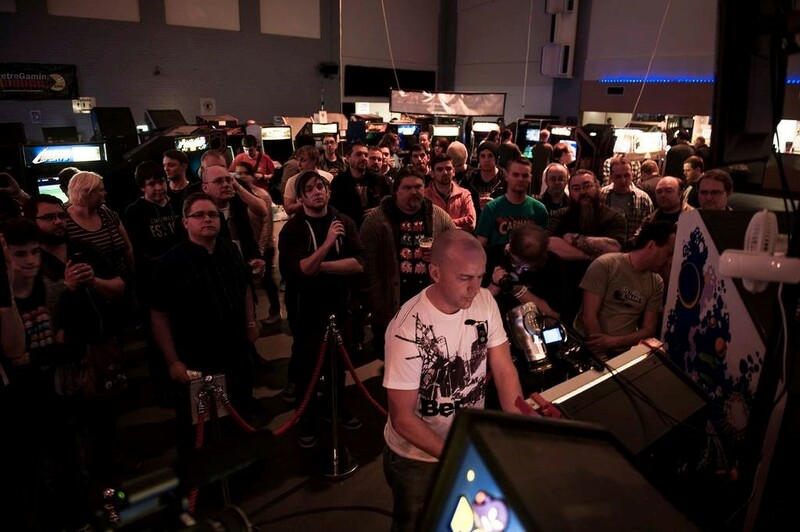 Some of these players not only still play the classics, but have also been on a mission. A mission to perfect their game of choice, unswayed by modern tech that can emulate games and break them down into tiny chunks allowing you to analyze down to the last pixel to get your game right. 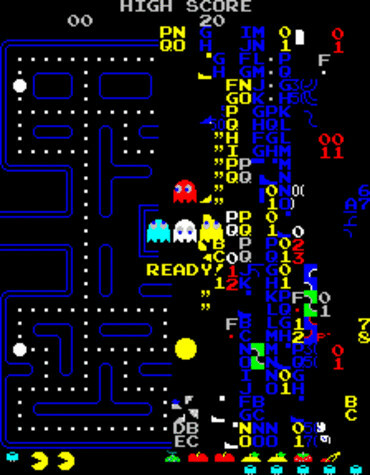 Back in 1981 Jon Stoodley discovered Pac-Man in his local arcade “Las Vegas” in the town centre of Liverpool. As was typical, he’d get his pocket money, get on the bus, ride into town and play the game. He got better by watching other players, learning his craft and sharing tips amongst his peers. He learnt the game by looking over other kid’s shoulders, not by watching a video as we might do now. Eventually, Jon got a decent score. More than decent in fact. 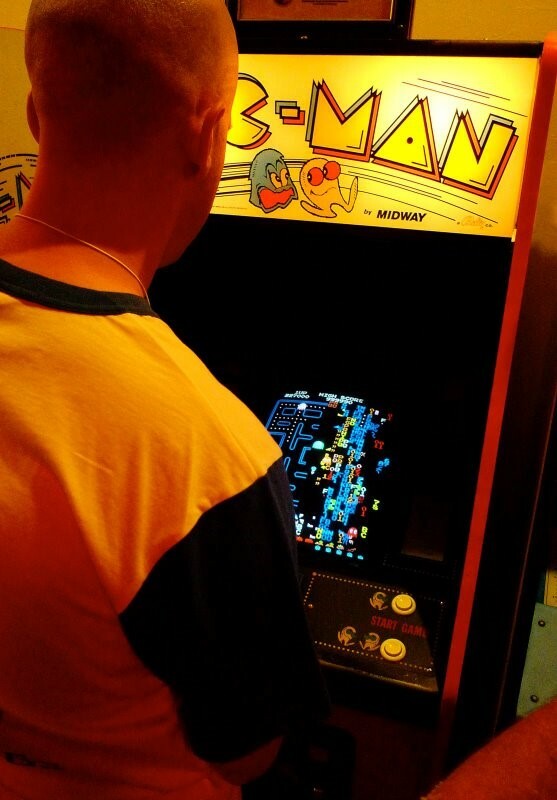 In 1983, he got to the end of the game – level 256 where it craps out. Decent enough to get it verified by the owner of the arcade and submitted to Computer & Videogame Magazine. They printed the score, and amazingly, what we now know is that had we over here in Blighty known about Twin Galaxies, the self-proclaimed custodian and officiator of arcade high scores on the other side of the Atlantic, his score of 3,221,000 would have been the officially verified Pac-Man world record at the time, beating the highest recorded score up to that point of 3,191,000 achieved by Tim Balderramos. 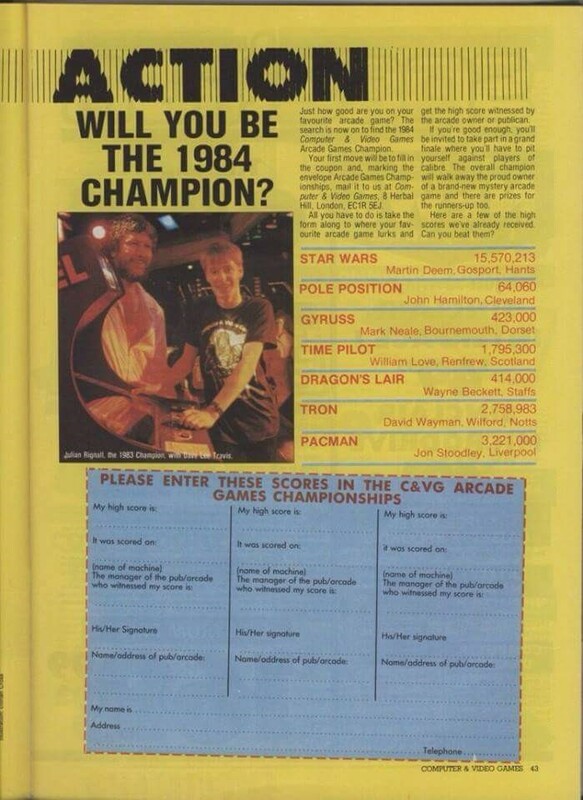 The score submitted should have got Jon to the UK arcade game championships back then, but Pac-Man was already seen as too out of date to be included so it went nowhere (trivia fact: Julian Rignall himself won that tournament). But it was moot. Because shortly afterwards, everything went away. Everyone stopped going to the arcades. Pac-Man was sent to the dump along with his arcade relatives QBert, DigDug and Mappy. 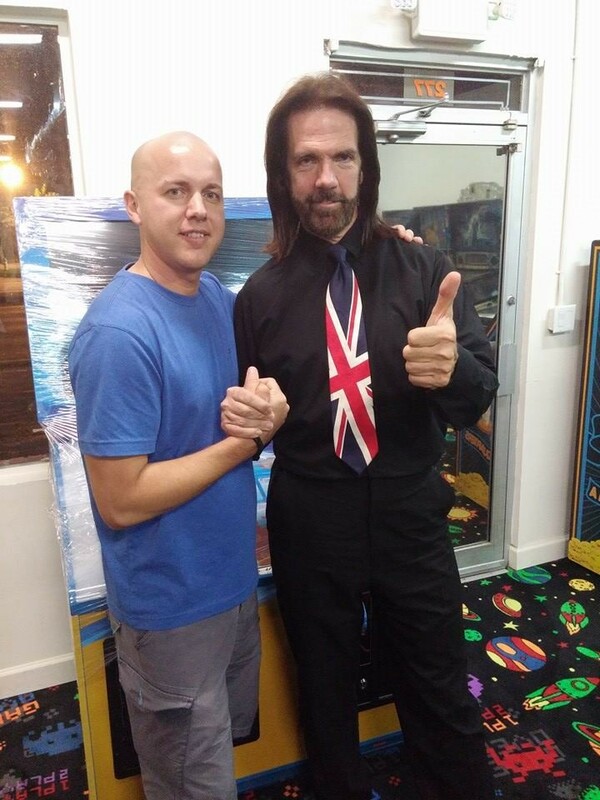 Las Vegas arcade closed down and Jon got some O Levels and started his adult life. Fast-forward 25 years and through a series of weird coincidences (no I can’t be bothered to explain) Jon discovers an old Pac-Man cabaret cabinet in a barn. He buys it and decides to restore it to its former glory with intent to start playing again. “It was unfinished business” explains Jon. “I knew the game pretty well, but there was still more to do. I had to get to the end – complete it”. 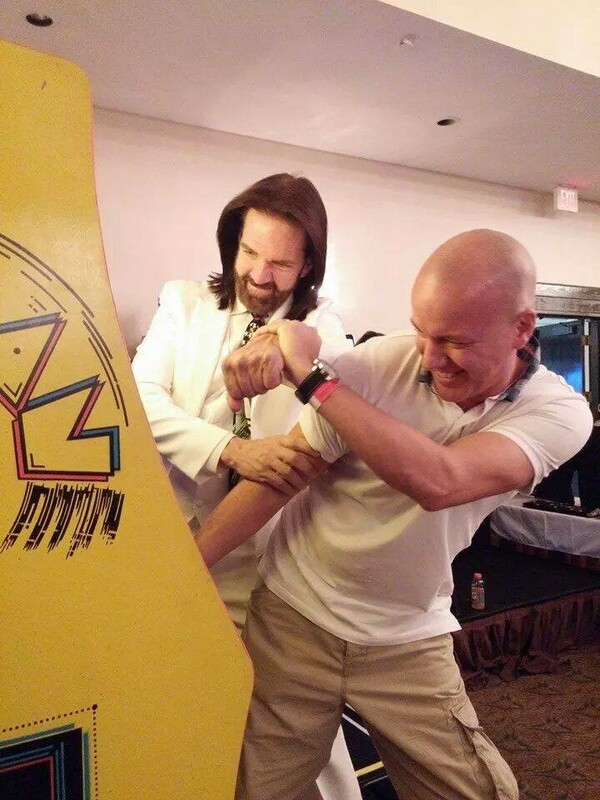 Jon had read about a certain Billy Mitchell who in July 1999 achieved the impossible – a perfect game of Pac-Man. Every dot, power pill, ghost, fruit bonus right up to the split screen at level 256, where the game craps out and ends. This culminates in a score of 3,333,360 – the ultimate game. Incredible as this may seem, YOU can do it too. The patterns are on YouTube. If you can be bothered to learn them, then play the game for six hours in one sitting without losing a life, you can add yourself to the roster of just 6 other people who have now followed in Bill’s mighty footsteps and max the game out. But Jon wasn’t going to do it the easy way. He has steadfastly refused to use MAME or to achieve a perfect game using patterns. His was the way of the Pac-Ninja. No cheats, no copying, no MAME, no rack-advance (a method whereby you can start the game on any level and practice). Jon played and studied – got under the skin of the game, learned how the Ghosts moved and worked out how to group them together – a must if you want to perfect the game. This freehand style can’t be learnt – you have to do it, and go through the mental strain of failing, picking yourself up again and going at it, time after time after time. All this was in pursuit of his dark passenger: The elusive prefect game, and done the old school way – on an original Pac-Man arcade cab. Managing the monkey on his back was tough. Imagine a game where you are on course for perfect, and three hours in your mind wonders and you go up instead of down. Boom. Game Over. Level 16. Your grouping is one pixel out. The fourth ghost on the level where you get just one second to eat them all after eating a power pill, changes back to red just before you have the chance to eat it. Boom. Game Over. You’re playing live in America on a cab you’re not familiar with. The monitor starts to heat up after being on all day and shakes almost imperceptibly on this cab the organisers have provided. 20 people are watching you four hours in. The shake gets worse. You start hoping it doesn’t get worse, and thinking about what you’re going to do if it does. Boom. Game Over. You’re playing at home and streaming live on Twitch to the world. The dog gets up and knocks the webcam over. Boom. Game Over. List all the things that could go wrong and Jon can tell you one more. I would have given up a long time ago – and most people do. 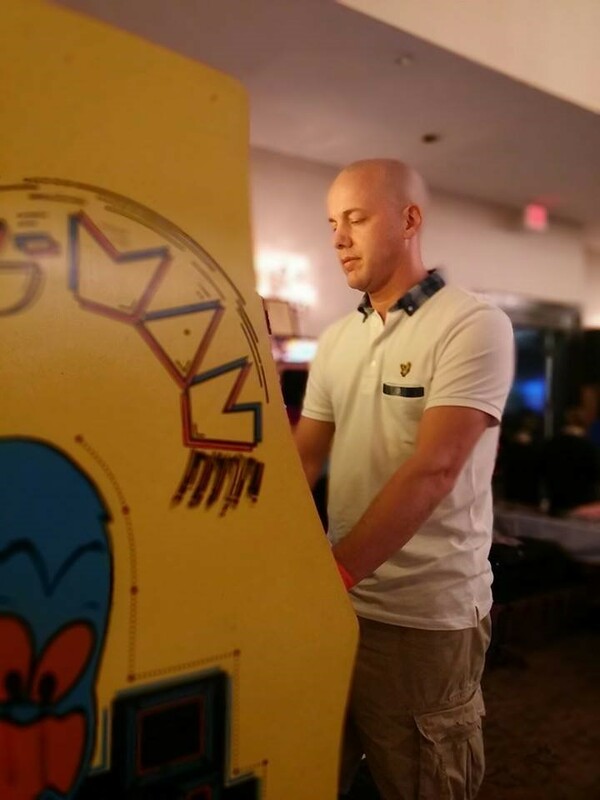 To study the split screen at level 256, Jon played half a dozen 5-6 hour games just to get to that screen so he could work out what he had to do should he ever get there at the end of a perfect run. He could have used rack-advance and got there in 10 minutes. And incredibly all of Jon’s 20 or so serious attempts at perfect have been done live in an “arcade” environment – just like it would have been done back in 1983. I’ve witnessed many of these attempts and talked to Jon about his steely determination to get his perfect game in the way he wanted to do it. I suppose it’s human nature to admit that after so many failed attempts, I started to think he’d never do it. The moment had surely passed. “Doing a Stoodley” became synonymous with breaking down on a videogame just before the end. But in 2014, Jon got close. Really close. At the Play Manchester event, he got a “perfect eat”. Whereby everything was eaten by Pac-Man right to the end, but he lost a life along the way, meaning his score was just 90 points short of perfect. This was back on surely. “It’s just a matter of time” said Jon. And then last month. At the Play Margate event this time. He tried again. Live. After 2 failed attempts on day one, he quietly set up again on day two, and before anyone had realized what was happening he was on course for a perfect game. At 10.30 pm in front of dozens of witnesses, and captured in full on tape, Jon came out the other side with a perfect score of 3,333,360 points. What makes Jon's achievement so extraordinary is not so much the score, or even what he did, but the way he’s consistently gone about doing it. He's never used a pattern up to the 21st board and plays them all totally "freehand". Very few players can do this, and still achieve a perfect game. It takes a certain mindset to doggedly chase a perfect score on any game whilst all the way refusing to take the easy route of any outside assistance. Jon knew this was a long journey that he had to take alone with no help. He got there and it took 30 years of graft. One coin, one perfect game. We salute you Jon. Amongst the blare and noise of trash disposable modern gaming, The Original Spirit came to the fore on 22nd August 2015 – in true old school style.